As you age, the need for multivitamins may increase. 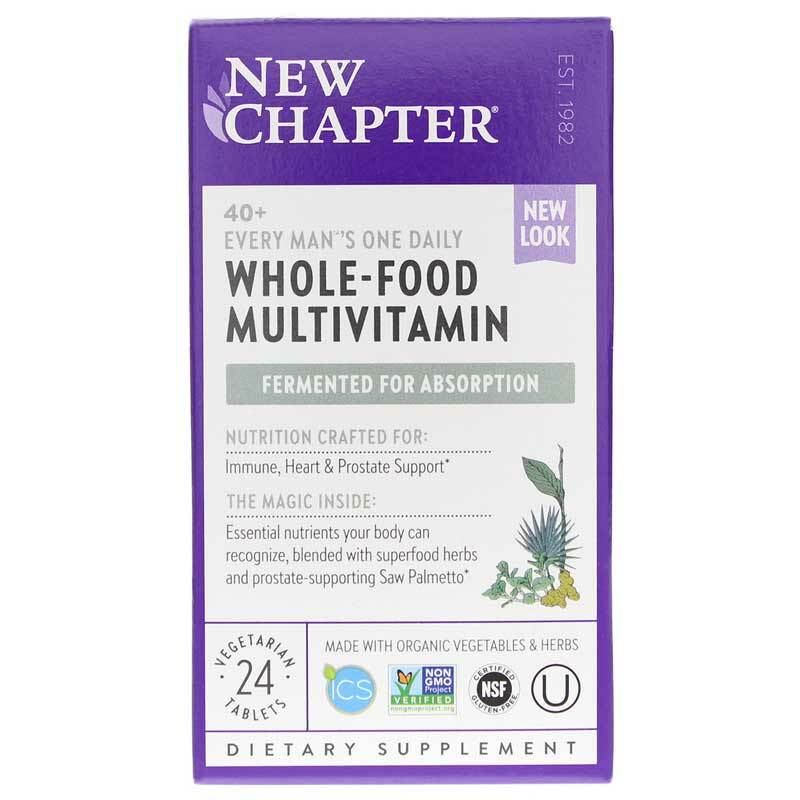 New Chapter offers a great option for men over 40 in their 40+ Every Man's One Daily multivitamin, which is specifically formulated to meet the needs of men over the age of 40, including prostate and digestive health. What are the health benefits of 40+ Every Man's One Daily? 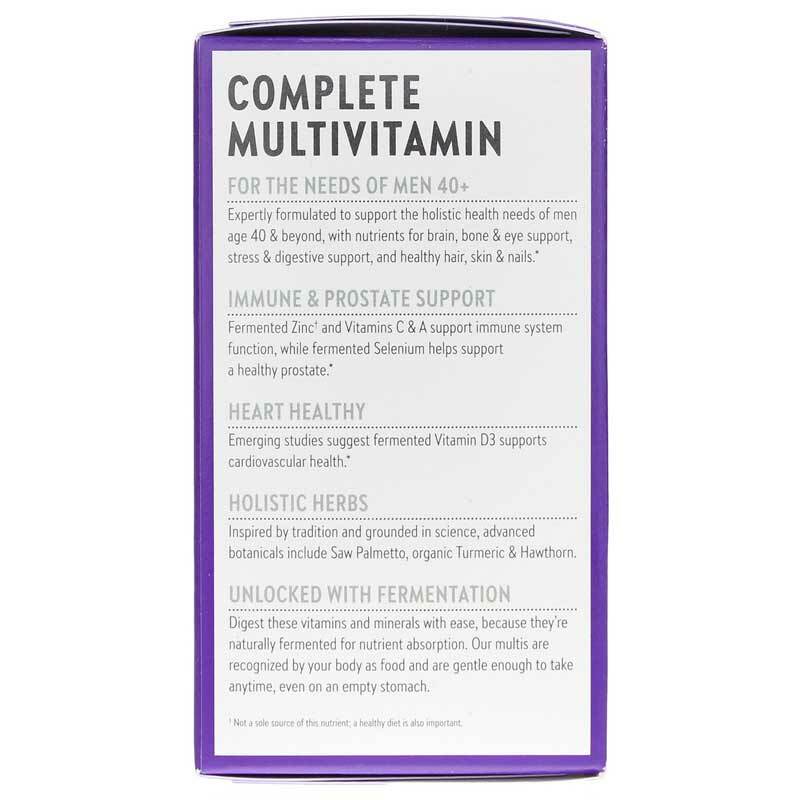 This comprehensive multivitamin provides saw palmetto, nettle root, and pumpkin seed oil for optimal prostate health and normal urine flow. It provides B complex vitamins and whole foods for optimal eye, heart, and digestive health. New Chapter's 40+ Every Man's One Daily is made without GMO ingredients, is cultured with live probiotics, and suitable for vegetarians, and is made without the use of gluten and artificial flavors and colors. 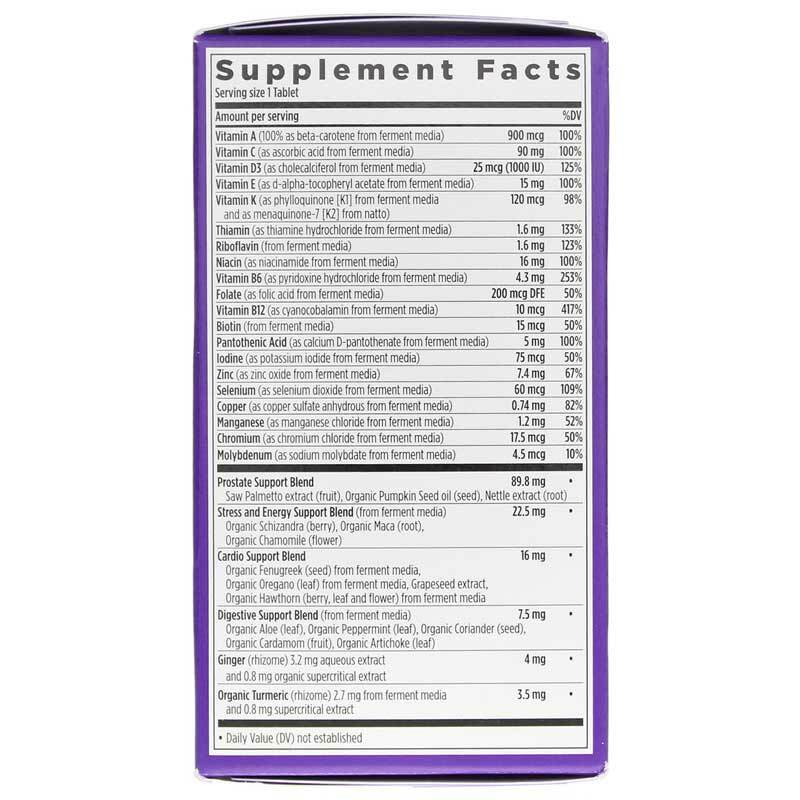 It's a truly healthy multivitamin supplement that promotes optimal health as you age. 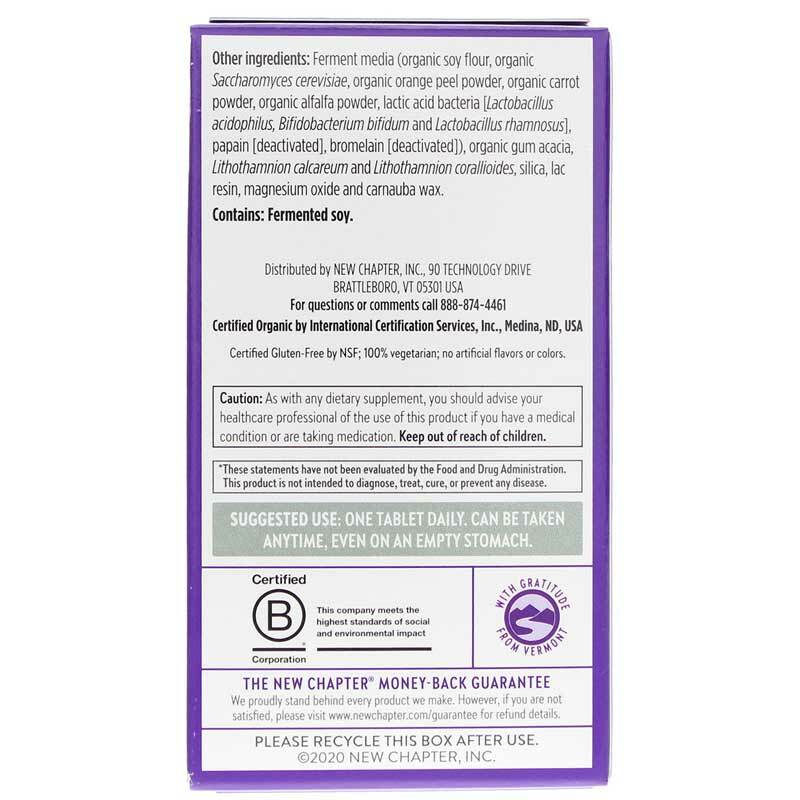 Other Ingredients: Culture media (organic soy flour, organic gum acacia, organic Saccharomyces cerevisiae [active and inactive], organic maltodextrin, organic orange peel powder, organic carrot powder, lactic acid bacteria [L. acidophilus, B. bifidum, L. rhamnosus], organic alfalfa powder, papain [deactivated], bromelain [deactivated], organic molasses and organic safflower oil), organic gum acacia, Lithothamnion (L. calcareum and L. corallioides), silicon dioxide, organic maltodextrin, lac resin, magnesium oxide, carnauba wax and maltodextrin.